The head of the region in the field meeting examined the sites where construction is already underway and where it is planned to start during 2012. 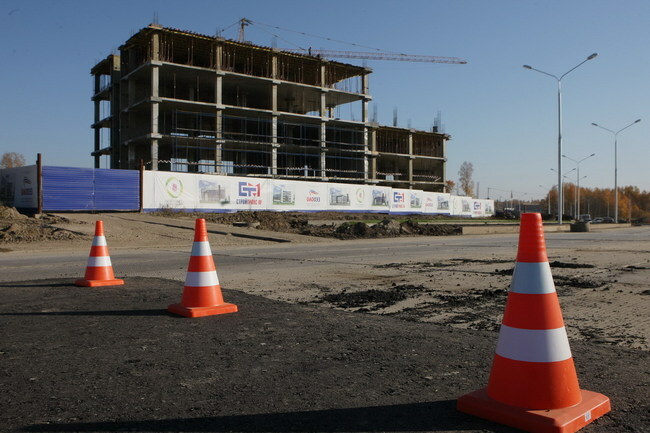 So, building science and innovation center in the special economic zone "Tomsk" will be the third building for residents, built at the expense of the federal budget. 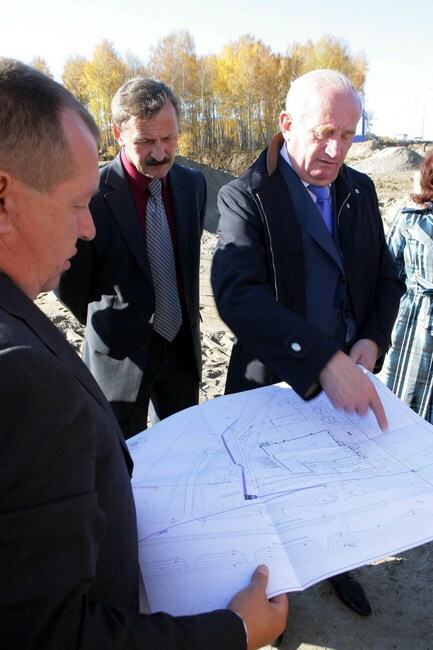 According to the Director General of the TIZ "Tomsk" Alexei Barishev, the new body will match the architectural concept developed in compliance with the uniform style of buildings and structures of the Tomsk SEZ. The total area of five-story buildings with underground parking will be 15.6 thousand square meters. m center will house companies implementing projects in the field of biotechnology and medicine, including both existing SEZ residents and new businesses. The building is expected to create more than 400 jobs. Construction will be completed in late 2012, the facility is now the device monolithic reinforced concrete frame of the 4th floor and external engineering networks. The company "Solagift", working in the field of medicine and biotechnology, began work on its assigned area of 2.5 hectares. By 2014, the resident is planning to build a house of office and production facilities with GMP-certified facilities. In 2012, the resident band "The International Centre of pre-clinical research and drug development" plans to begin construction of the module GLP cleanroom and laboratory animal facility center. 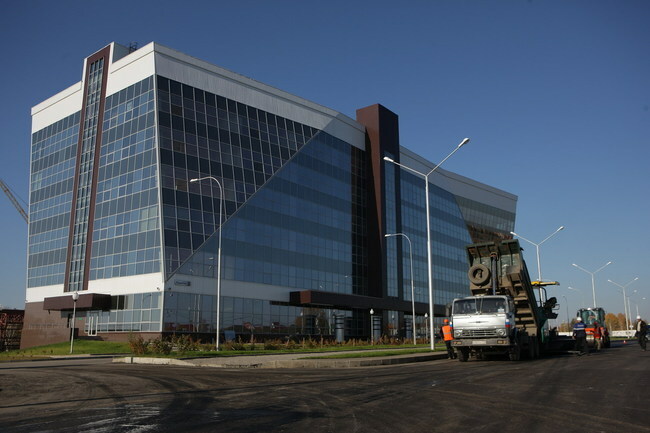 At the same time, start construction of its office and industrial buildings resident companies "Elecard Devices", "NPP" STEALTH "," Submicron Technologies "," Elcom + "and" base center LED Technology — Tomsk ". 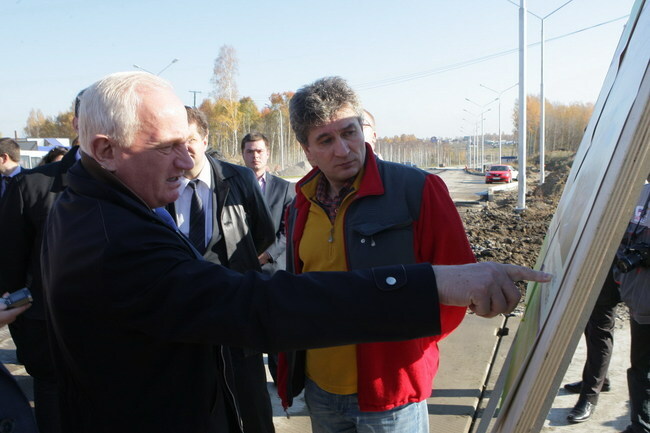 The introduction of inter-network engineering, according to the governor Viktor Kress, accelerate decision-making on residents leaving the construction site, as well as attract new investors willing to invest in the development of business in the territory of Tomsk SEZ.